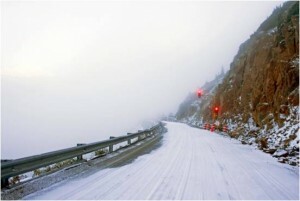 While most of us are enjoying the early onset of spring here in Denver, the weather conditions in the high country can be unpredictable during this time of year. The chance of extreme winds, pelting rain, and blinding snow is constantly knocking at the door most especially while having a drive in snow. Even the most experienced drivers can be tested by Mother Nature’s power during a winter storm. Keep an Emergency Kit on hand. This should include at least the basics of a blanket, boots, shovel, flashlight, and some nonperishable food items. Don’t slam on the brakes. Use a “toe tapping” approach when you are planning to stop or turn, especially if the roads are wet or icy. Maintain a steady speed. No need to stop suddenly or speed up too quickly. Stay the course if you are skidding. Your “locked” wheels will take the lead; follow this lead. Do not steer away or try to brake. Despite your best efforts, an accident may still occur while on a mountain trip. If you find yourself in a crash, keep in mind the following action steps. These will help to keep everyone safe while on a drive in snow and assist in letting Insurance Town and Country work through any necessary claims. Don’t stress. While it may be natural to get worked up, or even start thinking irrationally, it is important to stay calm and maintain composure. Stay at the scene (but out of the way), and be sure to utilize your warning lights or road flares to alert other drivers. Call 911. This is a job for the professionals. Let them do what they do best. Reach out to Insurance Town and Country ASAP. Letting your insurance company know about the accident immediately will help speed up any possible resolutions. Maintain innocence. Keep any ‘blame game’ comments limited to your conversation with the police and your automotive insurance company. Obtain contact information. Be sure to exchange names, phone numbers, and even email addresses with any other drivers or witnesses involved. Take photographs. Pictures are very useful when a claim is being settled. Verify the other driver’s insurance is in effect. You can do this by calling the # on their ID card. Call Insurance Town & Country today and speak with one of our insurance professionals. Let us help you navigate the hazardous roads of life and work to keep your insurance costs down. We have offices in Denver (303-388-7216) and Castle Rock (303-688-1251). Call us today to schedule your consultation! Making the most of our drive time, killing two birds with one stone, being efficient. However, you want to label it, most of us want to think we excel in the area of multi-tasking while driving. We may answer a quick text, have a sandwich to-go, or allow our favorite furry pet to “safely” sit on our laps. Despite the confidence in our driving skills, it’s these types of distracted driving tactics that lead to about half a million driving accidents per year – and ultimately higher auto insurance rates. Don’t just silence it. Don’t just set it on the passenger’s seat. Regardless if you are holding a phone or using a hands-free model, the simple act of talking on the phone can delay your reaction time. 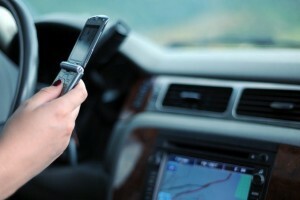 In addition, most of us are guilty of texting and driving, which according to the Federal Motor Carrier Safety Administration, is even more dangerous. In the 4.6 seconds it takes us to send that text message, our vehicle has traveled the length of a football field. That’s a lot of players, coaches, cheerleaders, and fans that could potentially get in the way. Your incoming messages can wait. Like John Travolta says in “Be Cool”… when you’re important – people will wait. Your life is important! PUT DOWN THE BIG MAC. At one point in our driving tenure, most of us have used our steering wheels and laps as tray tables, while simultaneously trying to balance our Super Sized beverage cups in the center consoles. Add to that the art of eating a burrito while not staining your dress pants, and you have a disturbingly vivid example of Driving While Distracted. Save the fast food for your dining room table, and save us all from a mistake behind the wheel. PUT THE CAR IN PARK. With in-vehicle GPS systems and the iPhone map features, there rarely comes a time anymore when we need to pull out an old school paper map roadmap. However, if the destination has changed or you took a wrong turn, there might be the need to recalculate. If this happens to you, find the nearest exit, pull into a parking lot, and readjust your GPS as needed. Staring at the screen while driving will do no good if you never make it your destination. KEEP FIDO IN HIS CAGE. You wouldn’t keep your baby on your lap while driving, so why would you allow your furry friend to do so? Aside from the obvious potential danger that you are putting your pet in, the movement of your four-legged passenger (even in the backseat) is highly likely to be a distraction. Secure your pet and you will secure your driving. Insurance Town & Country is here to help. Talk with one of our insurance professionals and learn how a clean driving record could help lower your auto insurance rates. We have offices in Denver (303-388-7216) and Castle Rock (303-688-1251). Call us today to schedule your consultation, and… you to stay safe on the road! Plan for a Healthy 2016 with Great Health Insurance! This year you’re going to do it! You’ve made your resolutions and you’ve already hit the gym a couple of times, but you’re not in the greatest shape. You’re in a vulnerable position where you could easily overwork yourself, strain a muscle, or hurt yourself on one of the machines you’re not quite sure how to use. Not to mention that it’s super cold and icy, what if you slip and fall on the ice or get sick because your immune system is compromised? How are you going to pay to visit the doctor? Let us help. Insurance Town & Country offers several flexible health insurance policies that fall into various plan categories. Each type of category has its pros and cons, but we’re sure that there is one that meets your needs and fits in your budget. The coverage definitions are listed below, read over the short description of each and contact us at either of our locations listed below for a more in-depth assessment of your needs to find the plan that makes sense for you. Copay – The copay is the amount of money the insured must pay out of pocket for a particular visit or service. Coinsurance – Coinsurance means that the insured pays a certain percentage (usually 20% or 30%) of the total cost of medical care. A coinsurance plan may or may not be combined with a copay provision. Deductible – The deductible is the amount that the insured must pay before the plant starts paying. These plans always cover preventative care services even before the deductible has been reached. A wide range of deductibles are available, depending on whether the coverage is for an individual or family. Health Savings Account – Health Savings Accounts (HSA) must accompany a high-deductible plan. Participants qualify for a tax deduction on the money they deposit in the account. Preventive care is always included in these plans without having to reach the deductible first. Merry Christmas from Insurance Town & Country! Merry Christmas to all of our friends, family, clients, and strangers! This December 25th is about much more than exchanging gifts. It is the day Insurance Town & Country, celebrates the birth of Jesus Christ. This holiday season we at Insurance Town & Country want to do more than just wish you a Merry Christmas and Happy Holidays. 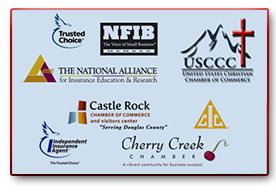 We want to thank all of our clients for their business and we want to encourage those of you who are not clients, to give Insurance Town & Country a chance to earn your business. We wish all of you the best in 2016! The holiday season also means that it’s flu season. High stress, cold weather, and family gatherings make a perfect storm of germs attacking the weakened immune systems of your employees. If you’re employees are sick, it’s best that they can afford great care and stay out of the office while they are on the mend. The next month is prime time for employees to start requesting additional hours, working overtime, and coming in when they should probably just stay home so that they can save up for Christmas gifts. While your workers have good intentions when this happens, it will likely lead to less productive employees and consequently worse customer service and a lower bottom line. We recommend providing employees with great health insurance options. If your workforce isn’t afraid that getting the necessary medical care and prescriptions will be too expensive, they will be more willing to seek out treatments and preventive care that will keep them healthy, productive, and present at work. Contact us at either of our locations below to discuss your current insurance policies, your company size and the level of care you want to provide. Our Commercial Insurance Specialists will work with you to find a plan that fulfills your needs and fits your budget; after all, an investment in your workforce truly is the gift that keeps on giving. As you join your family and friends around the dinner table this Thanksgiving and give thanks for all you have, we want you to feel safe knowing that your belongings and loved ones are protected. The holidays are packed with love and excitement, but they can sometimes lead to a number of insurance claims. Below we have described some of the most common holiday insurance claims and linked to more information about the policies that we provide which protect against those kinds of claims. We hope that you don’t need to make a claim with us this holiday season, but we’re always glad to know that you are protected if you do. Contact us at either of our locations listed below if you have any questions regarding any new or existing policies. Auto Insurance Claims: Worsening weather, darker evenings, and holiday stress lead to a lot of automobile collisions. Whether you hit an ice patch in the road or get struck by a drunk driver, a good auto insurance policy can help get you back on the road without taking presents from under the tree. Health Insurance & Life Insurance: As we mentioned in Auto Insurance Claims, a lot of people experience holiday stress. This could come from the anxiety of hosting Thanksgiving Dinner for your family, exhaustion from working a seasonal part-time job, or even the depression of not being able to make it home to see your loved ones. In any case, this increased stress can lead to serious medical issues that require hospitalization and in some cases result in death. We offer Health and Life Insurance Policies that can help keep your family protected from possible bankruptcy due to a head-of-household illness or death. Homeowner’s Insurance: Big meals and exuberant decorations, both of these are fire risks. Deep fryer fires, Christmas tree fires, or knocking over the Menorah, our traditions can leave our homes in an unfavorable position during the late months of the year. Additionally, strong winds, extreme cold, and other severe weather can do a lot of damage to your house. Finally, if you are travelling for the holidays your house is at risk for burglary and theft, without sufficient Personal Property Insurance you may be left out in the cold if your presents end up under someone else’s tree. At Insurance Town & Country, we pride ourselves in our customer service. Our customers are our friends and family, they are our neighbors and the members of our professional groups. It is our relationship with our customers, our relationship with you that drives us to work harder to make sure that your insurance policies work for your growing business. Below we have listed several of our popular business insurance policies with a short explanation of their purposes. If you have any questions or would like to discuss the insurance needs of your small or medium business, please contact us at either of our locations listed below. Protects your Building and Business Personal Property. Prevents major financial losses if your business is sued or held legally responsible in the event of bodily injury or property damage. Provides a diverse and extensive set of policies to protect the mobile parts of your business, including their cargo. Combines various coverage options into one convenient package for more benefits than a typical business insurance policy and better savings through competitive pricing. Protects your mobile equipment and tools while not on your premises from theft and damage, including during transportation or at a different location. Provides additional coverage for your business for a variety of situations including accidental injuries, libel, slander, or invasion of privacy, company vehicle accidents, and more. 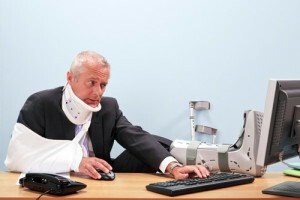 Covers the expenses that originate from an employee being injured on the job, including medical expenses/treatment and the replacement of lost wages from injury time off. Protects your business against crime and employee dishonesty. Veteran’s Day can raise several emotions for different people, pride, patriotism, and honor, are a few that come to mind; but for many families with loved ones deployed overseas, Veteran’s Day is a reminder of the fear and uncertainty of the safety of their sister, father, cousin, son, best friend, or significant other. In America, we are fortunate to have a diverse population who celebrate this holiday in their own unique way. Everyone at Insurance Town and Country wants you to thoughtfully experience Veteran’s Day this year. Whether you make the time to speak with your loved ones based far away, volunteer or donate to veteran support group, or just spend time appreciating the beautiful parks, towering skyscrapers, and museums filled with art and history that American Veterans have risked their lives to provide unto you, please keep the brave men and women of our military in your thoughts today. Thank you to all of the members of our armed forces for your service and valor. We invite you to stop by either of our locations and tell us about American History… Tell us Your Story. Every year we hear about fires that happen over the holidays. Since it is the beginning of the holiday season with Halloween having just passed and Thanksgiving right around the corner, we need to discuss the importance of making sure that you completely thaw out your turkey before attempting to deep fry it. The ice and cold water WILL REACT with the hot oil and can cause an explosion! Fortunately, you don’t have to test this theory out. Our friends at the City of Danville, Kentucky Fire Department have put together a video that shows just how a grease fire can occur when deep frying a turkey. Please take the time to watch this video and then contact us about your homeowner’s policy and your fire insurance coverage by using the information provided below. Please share this video with your friends and family as well. If it could save a life, it’s worth sharing. There has been some misinformation about who can qualify for flood insurance circulating and we would like to correct these rumors. Anyone can get flood insurance. It does not matter if you are inside or outside of the “flood plain.” However, the cost of your insurance policy will be affected by your susceptibility to flooding. So, if you are in the flood plain, you can expect your policy to cost more than if you lived outside of the flood plain. There are two types of flood insurance coverage, “Building Property” and “Personal Property.” We have listed the differences below. Property and belongings outside of a building such as trees, plants, wells, walks, decks, etc. If you are concerned about your home or possessions being damaged or destroyed by flooding, please contact us so that we can discuss your needs and get you a quality flood insurance policy that makes sense for your situation.